A new agreement will encourage residents of Georgia’s breakaway region of South Ossetia to go to Russia for medical treatment, in a bid to limit one of Tbilisi’s main levers of influence in the territory. 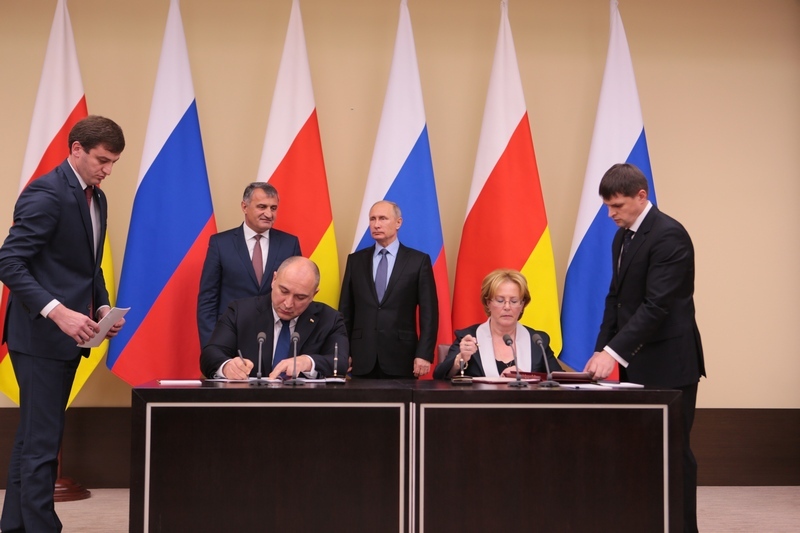 The agreement, signed by Russia’s ministry of health and its Tskhinvali counterpart, will allow South Ossetians with Russian citizenship to use the same medical services available to Russians. Many residents now travel to neighboring Georgia for health care, giving Tbilisi a means of exerting soft power over the breakaway territory. Kozonov also noted a recent spike in South Ossetia residents heading to Georgia for treatment. In 2012, 63 individuals went to Tbilisi and by 2016 it had grown to 260 – a relatively large figure for a region of just 53,000 officially, and in reality probably much smaller. “The system of compulsory medical insurance will, if not completely eradicate, at least neutralize the process” Kozonov added. South Ossetia, along with the Black Sea region of Abkhazia, broke away from Georgia in the early 1990s. Since Georgia’s 2008 war with Russia, Moscow has recognized the independence of both regimes and continues to subsidize them. Since 2008, South Ossetia has failed to build a modern medical facility despite government promises to prioritize health care. A similar agreement was reached with Abkhazia on August 8. Tbilisi also plans to compete for influence by opening a new clinic for 220 patients in the village of Rukhi, near the Abkhazian de facto border. The new deal is limited to South Ossetians with Russian citizenship, but the two sides promised a simplification of the citizenship process following a meeting between Russian President Vladimir Putin and South Ossetian leader Anatoly Bibilov in Moscow in November. Those seeking medical treatment in Russia will have the cost paid from the South Ossetian budget. “Previously, 6 million was allocated [from the South Ossetian budget], and now it has been increased to 9 million rubles. The next budget will be 12 million rubles.” Kozonov said. A further agreement was concluded that will allow for sick residents to be flown to the neighboring Russian republic of North Ossetia for treatment. South Ossetia’s leadership has long expressed concern about the number of people travelling to Georgia for treatment. In July 2013, Tskhinvali passed a decree restricting the use of Georgia’s medical services to “exceptional cases” only. But residents largely ignored it. The government also imposed tight restrictions on this practice during the 2014 Winter Olympics in Sochi. At the time, the South Ossetian security services, still known by the Soviet-era name KGB, only allowed residents to travel to Georgia in life threatening circumstances. Many prefer the higher quality of Tbilisi’s service, as well as the country’s universal insurance program, which covers residents of the separatist regions. Abkhaz and South Ossetians also go to Tbilisi for HIV/AIDS treatment, according to Georgian clinics.